Listen, we know the deal: A lot of people don’t like going to the dentist. When patients head into one of the Smile On Dental Salon & Sleep Apnea Center offices, they’re often hesitant to tell us that their spouse hasn’t been to the dentist in years—or decades. No judgement! We understand, and we’re here to help you get them into a chair so we can show them we’re there as a helpful resource. So what can you say to encourage them to get through the door for that first appointment? Many adults view trips to the dentist the same way they do yearly checkups with their physician—it was something they did as a kid because their parents made them. Now, as an adult, they don’t need to make an appointment unless there’s a problem. So for them, not going to the dentist is a non-issue. If you haven’t already, let them know it’s important to you that they go to the dentist regularly. For others, it’s not a matter of seemingly outgrowing the dentist that’s kept them away, it’s a fear that they’ve had since childhood. It’s a fear that’s shared by many adults, and nothing to feel bad about. Acknowledging that your spouse may be anxious about a trip to the dentist will get you both on the same page so you can talk about ways of addressing this fear. Anxieties are very often passed on from parents to children. If your spouse is apprehensive about visiting the dentist, they know how cumbersome that fear can be. Point out that by continuing to indulge that fear and apprehension, they run the risk of passing it along to your children. Often times, a desire to spare their children that anxiety can galvanize folks to come in for a visit. Who said your spouse’s first trip back to the dentist had to be for their own appointment? Have them tag along on your next regular cleaning. 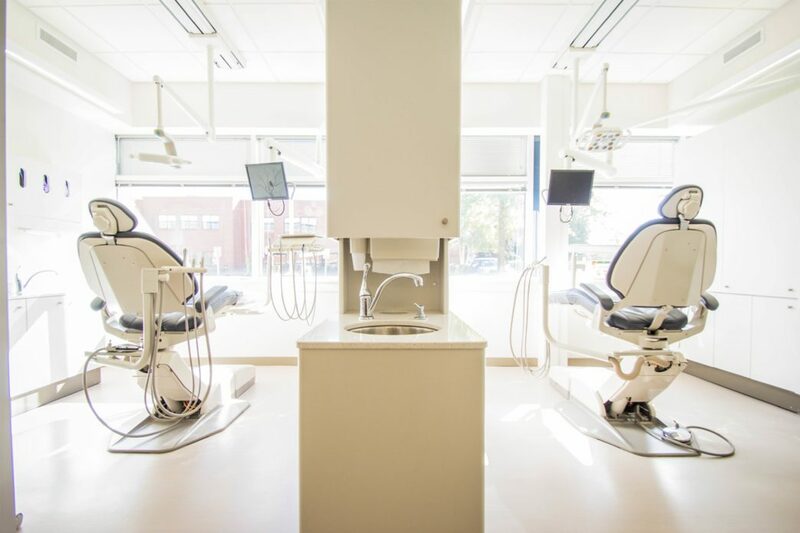 Simply going to the office is a good first step, and can help debunk the ghastly impressions of the dentist’s office that may have grown in their head since childhood. Good dental hygiene—regular brushing and flossing with the proper technique—is the foundation of dental health. But diet and exercise don’t preclude a trip to the doctor’s office. Likewise, proper brushing and flossing doesn’t alleviate the need for regular dental checkups. We’re here to provide deep cleanings that get what brushing and flossing miss, and to spot warning signs before they become problems. Failure to maintain regular dental appointments increases the likelihood of painful tooth ailments, the kind that often necessitate painful and expensive treatment options. Once you spouse is ready, give our dental offices in Illinois a call to schedule an appointment. Our friendly and experienced staff will ensure that your husband or wife feels comfortable during their procedure- whether it’s a routine cleaning, teeth whitening, or dental implants.